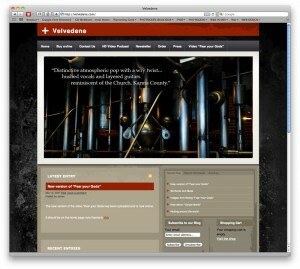 Thanks to James and Velvedene for the great music every week. 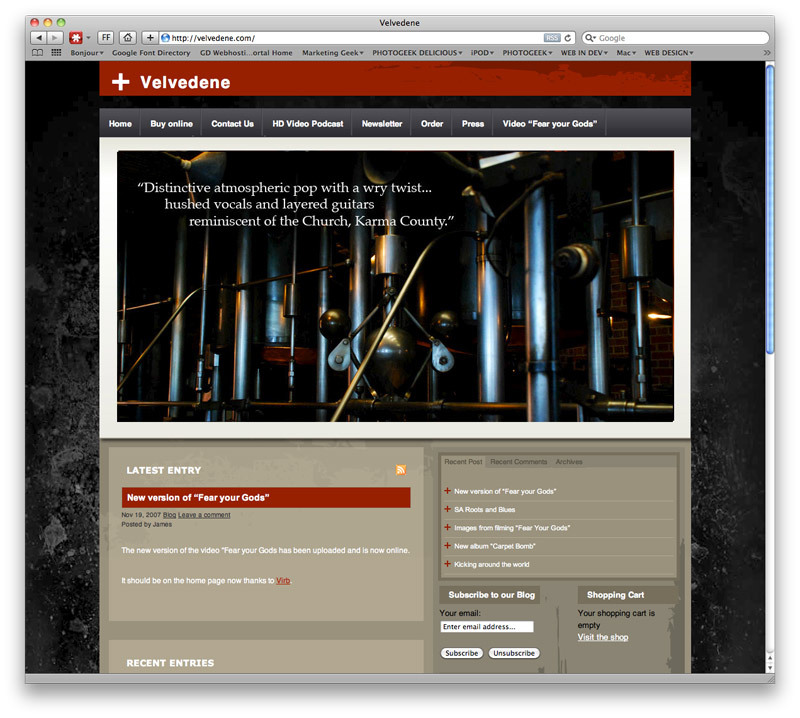 Velvedene came together in 2002 and are based in Melbourne, Australia. The line-up consists of James Weldon (lead vox, guitars), Cameron Stone (drums), Sean Allwood (guitars) and Sasha Stella (keys). Dark, humerous, sometimes poingent, their debut CD “Carpet Bomb” reveals a range of influences such as Lloyd Cole, the Church and Lou Reed among others. 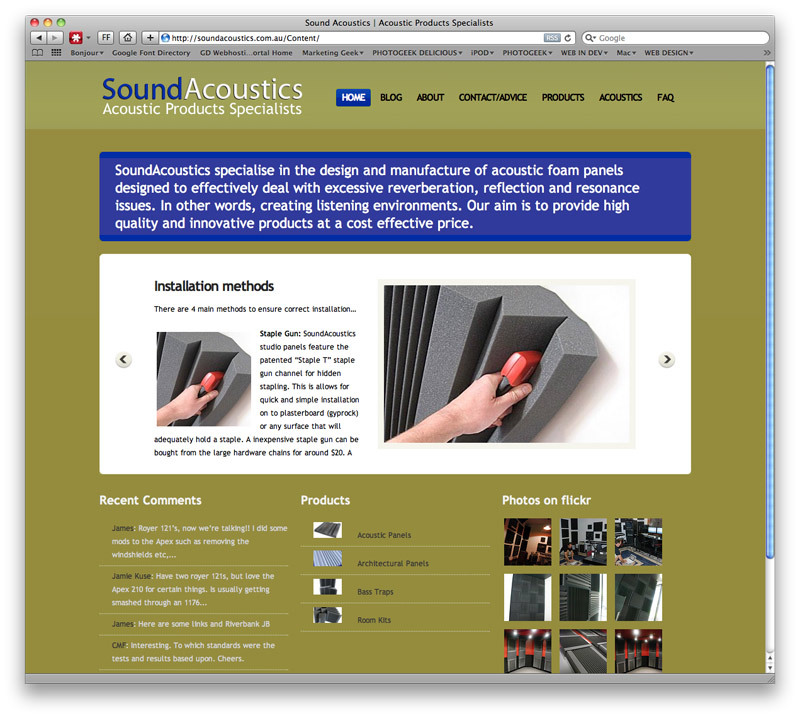 James is also responsible for Sound Acoustics, supplier of sound acoustic foam panels for recording studios, home theater rooms and edit suits. Also James runs Bee TV, a video production business with many years of experience.